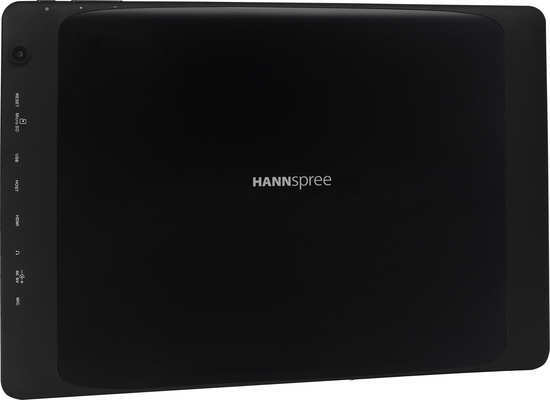 Consumer electronics manufacturer and AV specialist HANNspree is pleased to unveil its new 13inch Tablet PC. The flagship model of the HANNSpad Tablet PC series, the new Titan 2 supersedes the popular Titan to offer more muscle for the serious Tablet PC user. 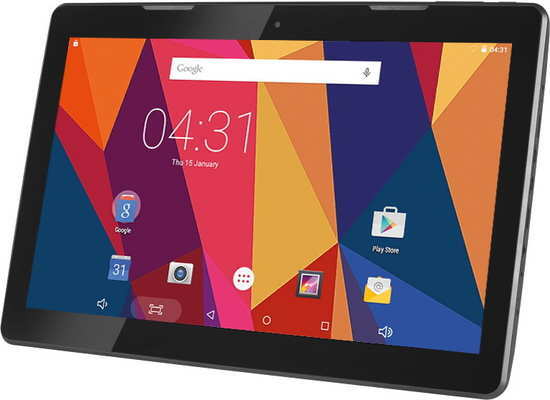 It includes; a 13.3inch Full HD screen, IPS display technology, the combined force of Octa Core CPU performance and 2GB Ram, Android 5.1, GPS, a high spec dual camera set up plus 16GB of internal storage. The ideal choice for multimedia and entertainment enthusiasts the HANNSpad Titan 2 large screen Tablet PC boasts a substantial 13.3inch IPS display with a Full HD 1920 x 1080 resolution making it a perfect presenter of demanding High Definition content such as video and games. Picture perfecting IPS technology not only helps to deliver true, vivid colour for intense, hard-core mobile computing activities but also provides the screen with a super wide viewing angle for a more comfortable and shareable viewing experience from any angle. The Titan 2’s display also features highly responsive 10 Point Multi Touch operation which ensures smooth interface processes and ultimate fingertip control within applications. The Titan 2 boasts the combined might of Octa Core processing performance and 2GB DDR Ram delivering rapid, non-stop performance for the most enjoyable user experience. Powered by the Android 5.1 operating system, the Titan 2’s performance is also improved by memory optimisation and refined touch screen input processing, plus users can access millions of apps from online application stores such as Google Play Store. With 16GB of on-board storage there is plenty of space to start downloading a personalised collection of apps as well as to take photos on the go or save large documents, whilst Micro SD expansion provides up to a further 32GB of storage when required. Thanks to the addition of built-in GPS, Titan 2 users can switch on in-app location services and utilize navigation programmes to transform the SN14TP1B into a fully functioning route and mapping device. Connectivity to the internet is taken care of by Wi-Fi, and internal Bluetooth allows users to connect wirelessly with any number of Bluetooth enabled accessories. The new flagship HANNSpad also includes a Mini HDMI port which allows seamless connectivity with any TV or large screen monitor hosting HDMI input to instantly create a smart Media Center to watch Catch-Up TV, stream blockbusters or share videos and photos in stunning High Definition. A high spec rear facing 5.0 Mega Pixel camera featuring Auto Focus enables users to take photos and produce videos which can then be shared with friends and family either by sending them to a large screen via HDMI, hooking up to the internet to upload to social media or by gathering around the generous 13inch screen. A front facing 2 Mega Pixel camera is the perfect solution to staying in touch with distant relatives or video conferencing with the office providing a more personal or professional way to chat face to face with the use of free to download applications such as Skype. The Titan 2 offers impressive computing power in a slender form, furnished with a sleek and stylish brushed aluminium design. Its good looks are complimented by highly portable measurements and a long battery life thanks to its 10,000mAh battery, promises to keep users mobile for longer. The flagship HANNSpad SN14TP1B is available now from eBuyer.com SRP £199. You can read our review of the previous model here.